That’s how many eggs our kitchen lovingly whisked into quiches, scrambles, and breakfast pockets from Dallas Sexton at Sexton Farms in 2015. Located in Harvard, ID—just 32 miles from the Co-op—Sexton farms is home to over 100 chickens, 19 ducks, a couple dogs and cats, and between 800-900 blueberry bushes. Dallas Sexton and Judy Perkins now run the farm that Dallas’ grandfather started in the 1910s. He moved back to Idaho in 1994 after leaving to manage restaurants in California for 30 years. He then left again and moved to Montana, but has been back home, running the farm since 2008. Judy says that ducks are extremely intelligent too. She talks of a time this past winter when Dallas was recovering from an illness and one of the ducks followed her around until she realized it was trying to tell her that their water had frozen over. Dallas relates to his birds. 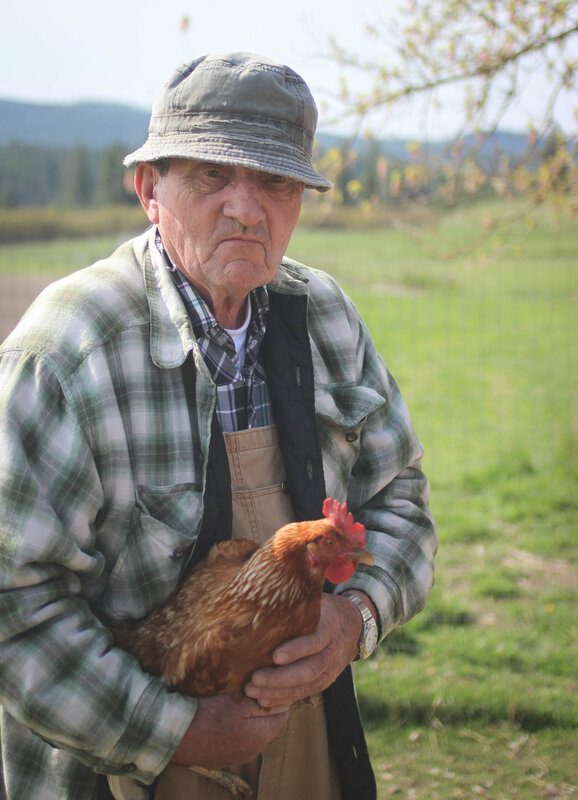 “Some days I’m kind of like the old hens—slowing down a bit.” But for now he’ll continue to farm. He’s out on his land from about 8am until sundown, feeding chickens and ducks, collecting their eggs, and taking care of his blueberries. You can find Dallas’ duck eggs in the Grocery Department coolers and you can look forward to U-Pick blueberries this July and August.